SMITE gets a slew of announcements from Hi-Rez at HRX 2018, including a redesign of Conquest maps' aesthetics and a brand new God. 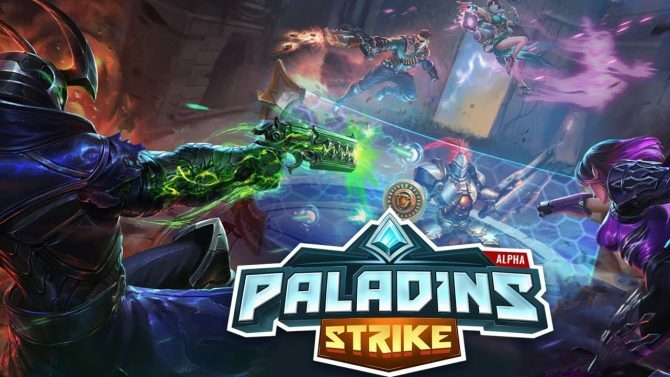 Paladins: Champions of the Realm isn’t the only Hi-Rez game going to see some love at Hi-Rez Expo 2018. 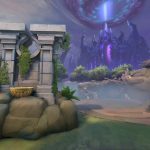 In the event’s keynote address earlier today, two major announcements for the studio’s action MOBA SMITE. 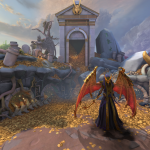 Most notable of the additions is a revamped and rebalanced Conquest map for Season 5 and the introduction of the game’s 93rd God. 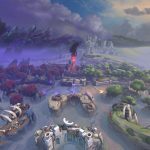 The first and arguably most dramatic change is a complete re-skin of the Season 5 Conquest map. As fans of the game may notice, the map has taken a cataclysmic shift — now with a Hades-branded, Ragnarok side. Drenched in mist and purple glow, half of the map looks flat-out evil. 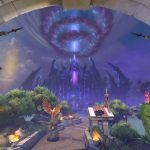 Which isn’t to say that it is the only interesting side of the map — the more traditional, familiar-looking areas are also getting “lore-inspired” makeovers. 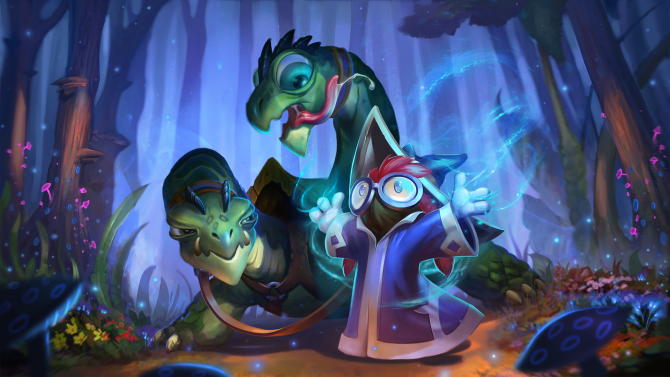 And while this reskin may not affect gameplay, Hi-Rez revealed that jungle fog — SMITE‘s name for “fog of war” — will make a return with the new season. 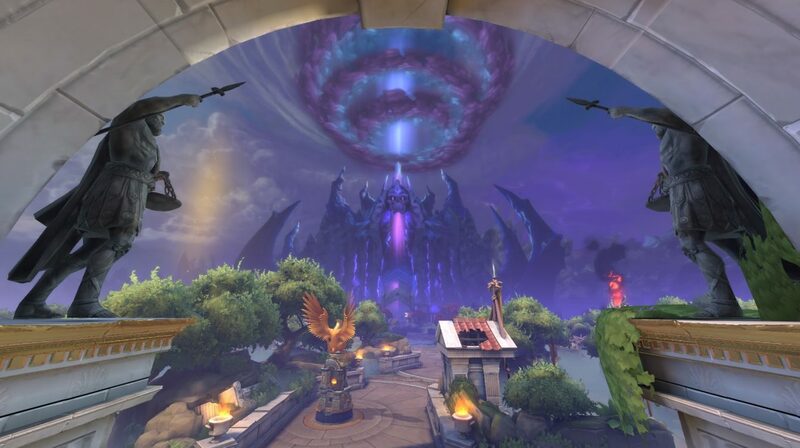 In addition to the revamped map, Hi-Rez unveiled the 93rd God in the ever-growing roster: Cerberus. Many will recognize Cerberus as the Greek/Roman three-headed watchdog of the Underworld. The announcement only seems fitting, given the strong relation to this season’s changes and the Hades-like aesthetic. 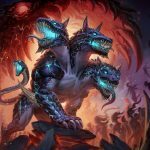 If you are wondering when you can get ahold of these new changes, the new map should become available (via SMITE’s public test server) on January 17, 2018. Meanwhile, Cerberus will be available for PC on January 9, 2018. There has been no mention on when either will be making the jump to consoles. It isn't a gaming expo without amazing cosplay, and HRX 2018 is no exception! 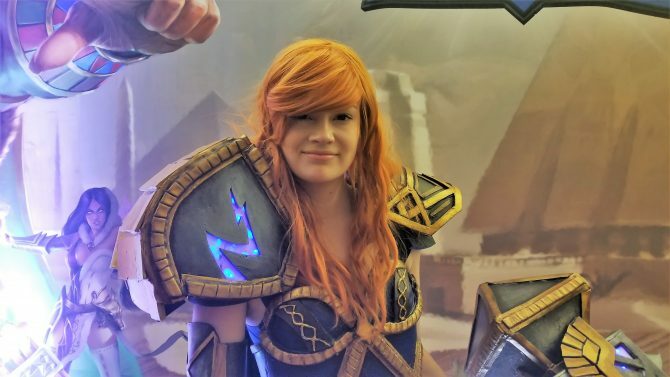 Check out the best SMITE and Paladins cosplay to grace the convention.